What a year its been for both Weird Decibels and Pabs solo music. Many highs and to be honest a few lows but a great year. As the bells sound for the new year and 2014 turned to 2015 I remind myself that in February it will be 20 years since we first stepped into our Grangemouth practise room. Simply unbelievable. The band head out to Linlithgow to choose a lodge in which to record the new album. We chose Kelso simply for the massive room that would allow for a great drum sound. What an inspired choice it was to be. Tommy gives us a wee play on the Third Class Ticket ahead of our show at the Buff Club; he has supported us all year and his show goes from strength to strength. We play the Buff Club in Glasgow. This was one of the strangest gigs we played! Look at the stage! We enjoyed it although it wasn’t our best performance. 8th February we turn 20 years old. We forget that this is an achievement; I guess as we’re all good friends it seems normal that we play music together. we get a nice article in the Falkirk Herald to celebrate our time together. James Trimble has done us proud over the years. We release the single version of Easy Way; never heard before until now. This was the version we sent to Bracken records which would never be released. Look out for more rare tracks in 2016 and beyond. There are loads! This was used to record both the bass and the drums at the same time. We record some of Weird Decibels 2 over a week in Kelso. Here is the story part one two and three. This was one of the best weeks in the bands history. Pabs plays the Tolbooth in Stirling. A fantastic night for our singer who was lucky enough to be supported by friends and family as the headline act didn’t bring many people! We continue to record parts for Weird decibels 2. Mixing starts; this turned out to be a long drawn put process despite our attempts to avoid this. Pabs went back onto shifts which helped but eventually he went back to day shift and juggling mixing, family life and work became difficult. 10th May we shoot the video for Its Who You Know at the Three Kings Kevin Byrne, Chris Wilson, Chris Burt and dale Ashworth all did us proud in this video which is nearing 500 views. 28th May Tommy Clark is first to air the new single on the Third Class Ticket. 29th May. Our new single its Who You Know released to the world. It went down very well; its since been remixed and will sound even better on the album. 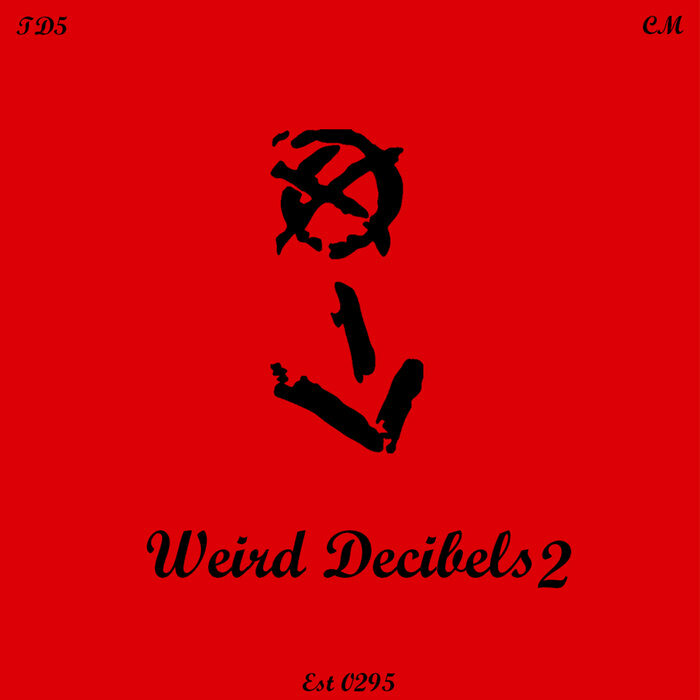 6th June we discuss the possibility of a deluxe version of Weird Decibels 2, over a few beers naturally… We had written so many ideas and recorded many practises as we wrote the album. 22nd July Stirling DIY Collective do a nice piece on the single. The Stirling scene turned out to be brilliant for Weird Decibels and Pabs this year. Big thanks to all at Stirling DIY collective and Kenny Bates. August 18th and we set ourselves a deadline for releasing the new album. It would be missed. I will now be out 2016. 10th October we release part 1 of our top 50 songs feature. 17th we play a great gig at Oxjam Stirling. 23rd October we get a wee mention in the Stirling Observer. 25th October part 3 of our top 50 countdown is uploaded. 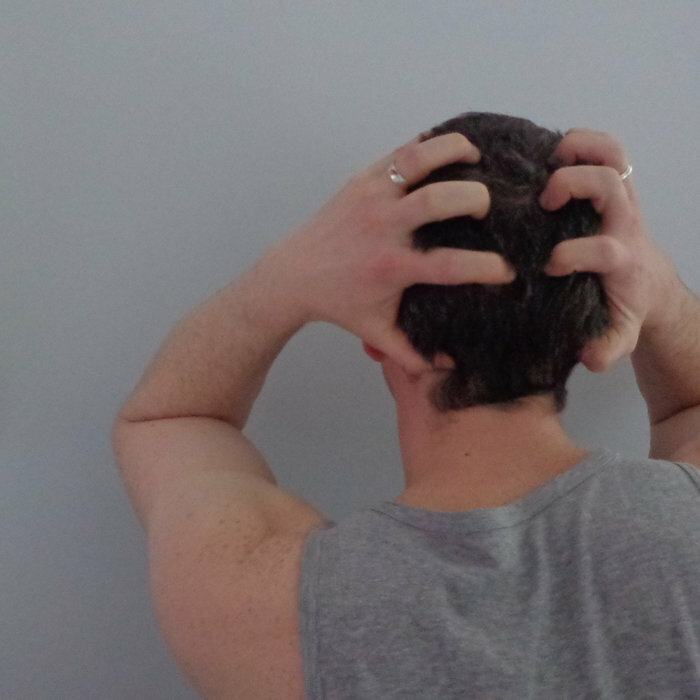 27th October Deadline for Weird Decibels 2 missed. 1st November shooting starts for the new video for Kill it Kill It released next year. Thanks to Kevin Byrne, Ruari Pearson and Chris Wilson. 2nd November our new range of tees are launched! 7th November we reveal our favourite song that we have recorded. A surprise result! 7th of November we play a fantastic gig at North Star with Buzzards of Babylon to celebrate 20 years together. 13th November Weird Decibels, like all fellow bands and musicians, are shocked and saddened by the awful events in Paris, including the massacre at the Bataclan where the Eagles of Death Metal were playing. 18th November Weird Decibels and Pabs solo work are nominated for best song, acoustic (pabs) and best rock act alongside many other talented Falkirk hopefuls for the first AMiF awards. Still time to vote!!!!! 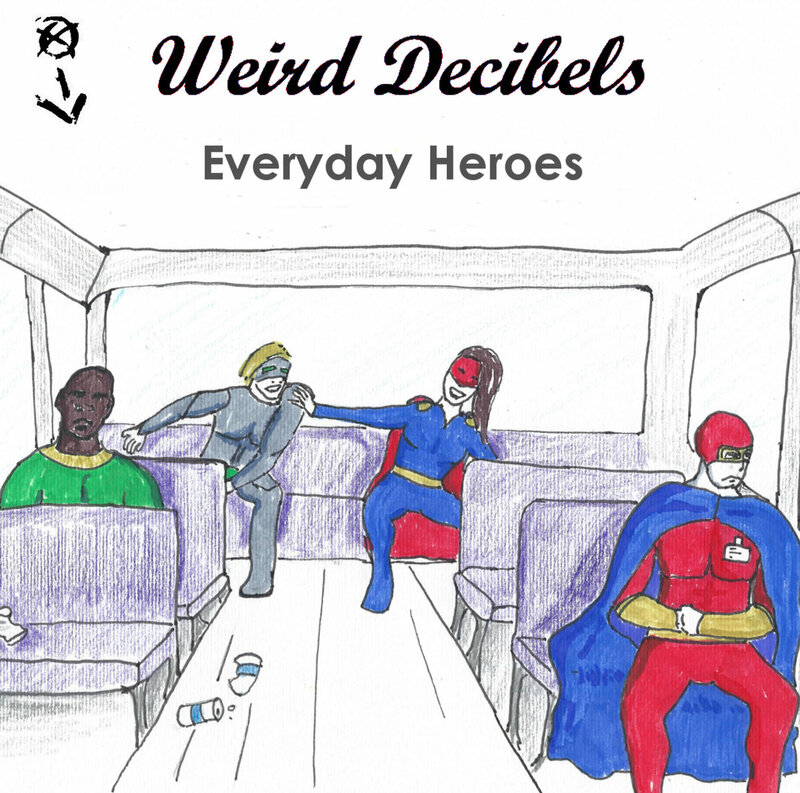 18th November Pabs and Stu lay some new alternative takes for Weird Decibels 2. The famous cover now all over the world! ‘we tried to get it out for the 20th anniversary gig and it became a rush. I wasn’t paying attention to the sound and was determined to get it released. Derek had listened to the masters on his earphones and voiced his concerns, I lost it! I was fed up, I wasn’t spending time with the family, work was hectic and I was coming home to mix. I nearly canned the whole lot. I walked away from the album and the band. Stu came up to visit and we had a coffee and a blether. I returned after three weeks and felt great. I could hear all the problems with the sound and EQ’d them out. Now the album has the clarity it was missing. ‘ Pabs. Pabs takes a three week break from mixing; comes back fresh and sorts out the frequency problems that had been causing issues. Album now sounds epic. 5th December Our first album Whapper Stormer appears on all digital platforms including Spotify.